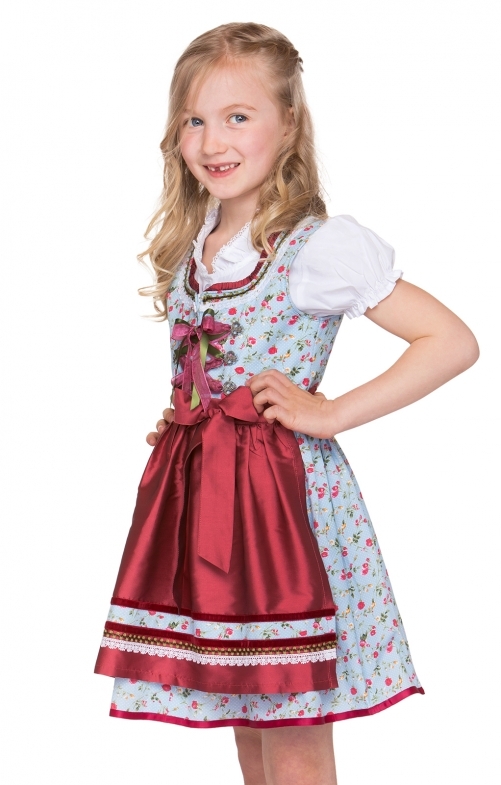 Kid's traditional dirndl colour light blue burgundy with romantic playful floral print. Stockerpoint model. The top dirndl material is made of cotton roll with a beautiful floral print design. Very nice contrast to the light blue of the dirndl material, the apron is made in burgundy with the collar and skirt. Airy, light and summery. The dirndl blouse and the dirndl apron are included in the offer.